Can I stay at [insert name here] hotel? | Link: UCOP's e-newsletter | Stay Informed. Stay Connected. Home » Notices » Can I stay at [insert name here] hotel? 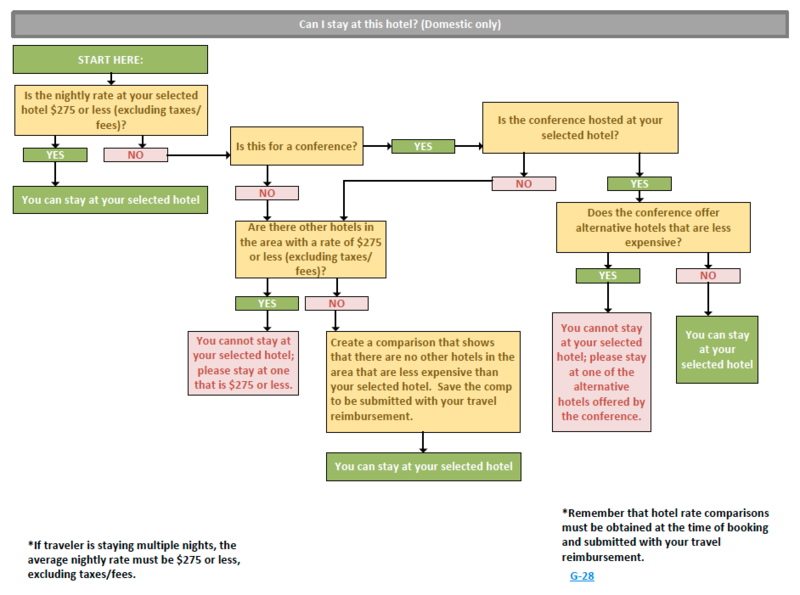 If you’ve ever wondered whether your hotel of choice for an upcoming business trip would be approved for reimbursement, you’re in luck: The BRC recently put together a helpful flowchart to outline eligibility based on a few key factors. For questions or more information, contact the BRC at brctravelandent@ucop.edu. VERY helpful!!! Thanks BRC team!